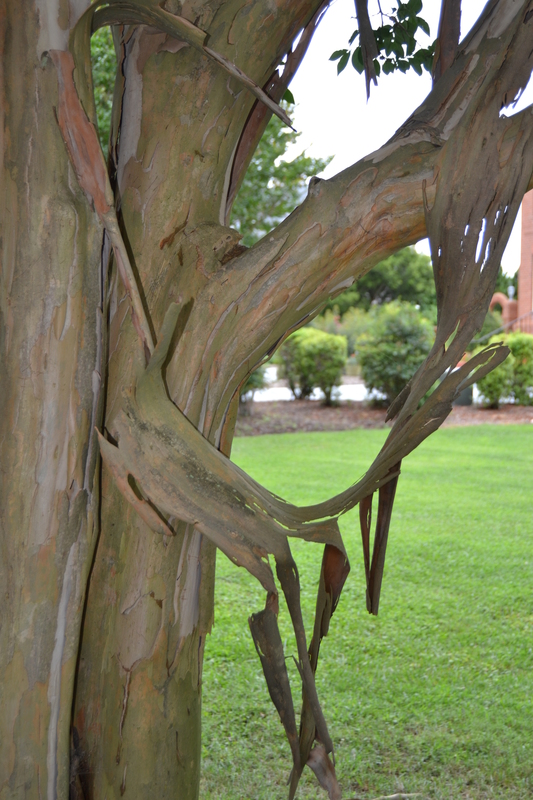 Those of you not from the South may not be familiar with crape myrtles. (Crape or crepe is acceptable, with crape being the preferred spelling.) 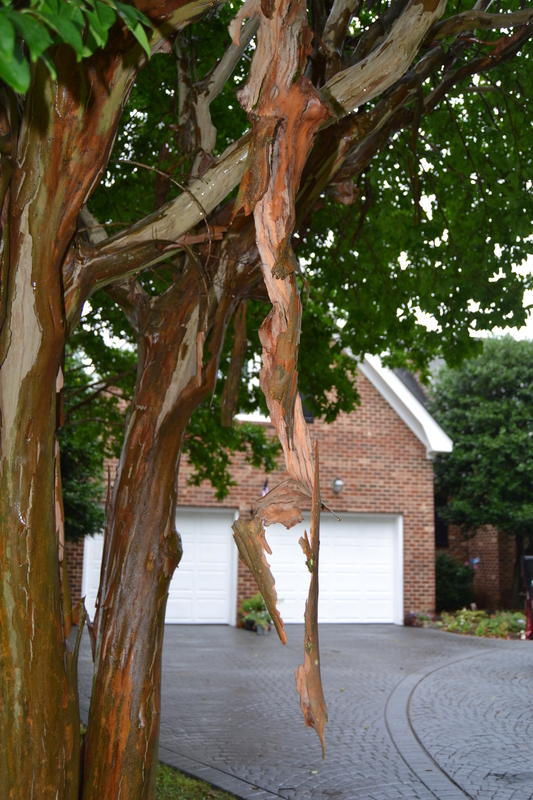 Crape myrtles bloom nearly all summer, and we rarely have a long enough cold snap in the winter to kill them. 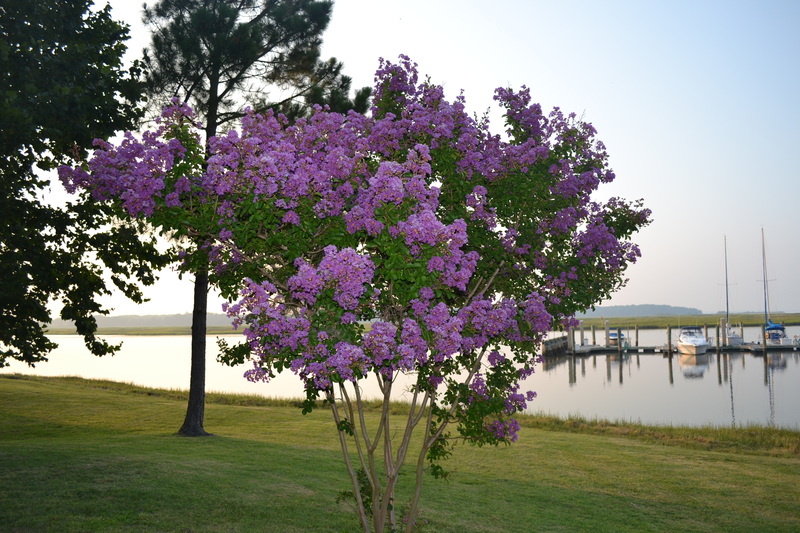 Crape myrtles come in shrub or tree varieties in several shades of pink, as well as red, white and purple. This is one we have in our yard. 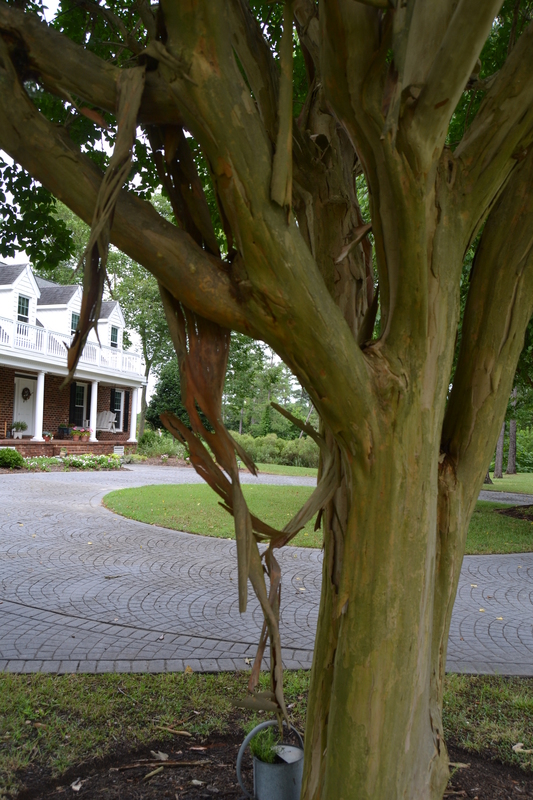 There were several crape myrtles in the yard of my childhood home. Although I’m sure it did, I don’t recall the bark shedding on those like the ones in our yard doing now. After a particularly hard rain last week, this was what I found when I returned home. It reminded me of a horror movie setting. When I showed the pictures to Marshall, he remembered a typo he saw several years ago, where someone wrote about a “creep myrtle”. A fitting description of them right now, wouldn’t you agree?